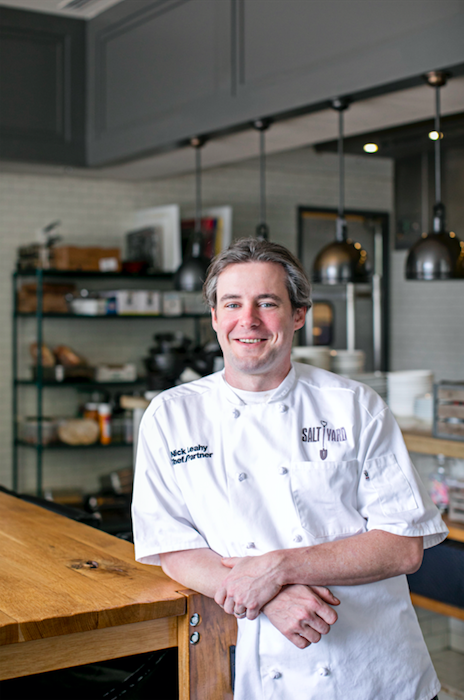 Chef Nick Leahy of Saltyard, the beloved restaurant in Atlanta’s South Buckhead neighborhood, announces the late 2018 opening of two adjoining concepts in West Midtown. Both will be inspired by Nick’s Southern French roots and family history. 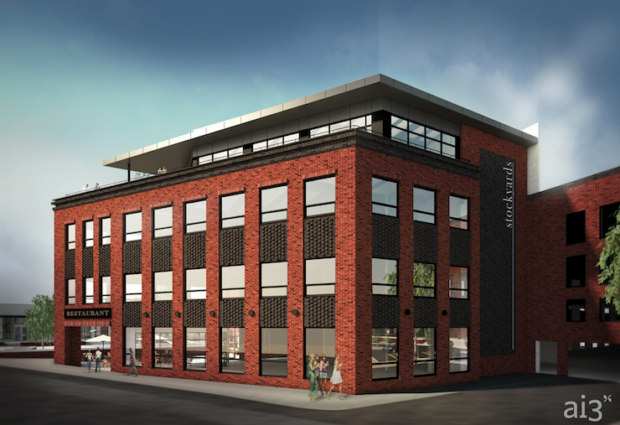 Aix, a Provençal restaurant, and Tin Tin, a wine bar, will offer lunch and dinner and neighbor each other in Stockyards, an adaptive reuse property featuring creative office, restaurant and retail space on Brady Avenue. Aix (pronounced “ex”) is named for Aix-en-Provence, the city in the South of France where Nick’s family originates and where he has spent substantial time throughout his life. Serving mostly French wines, Tin Tin is named for the matriarch of Nick’s French family and will showcase stencils of her handwritten recipe book on the walls. The two restaurants will share a kitchen but operate independently with their own menus. Guests will be invited to enjoy wine and small plates at Tin Tin for a casual outing or make a night of it by heading nextdoor afterwards for dinner at Aix. The menus will be an extension of Nick’s personal story and inspired by the food that first sparked his love for cooking—classic, bright, fresh flavors from Southern France. Aix will serve dishes like bouillabaisse with local seafood; crudo of skuna bay salmon with preserved lemon, dill, crispy capers and crème fraîche; roasted tomato gazpacho with lump crab and english pea salad; and tarte tropézienne, the iconic dessert named for St. Tropez. Highlights from Tin Tin’s lunch menu will include Provençal classics like pissaladière, vegetable tarts, stuffed baguettes and rotisserie chicken. At night, Tin Tin will serve cheeses, crudo and olives. Laurie and Marc Skalla are Partners in Saltyard, Aix and Tin Tin. Mark serves as Managing Partner of Blackshear Capital Management, a manufacturing, hospitality and real estate investment firm.